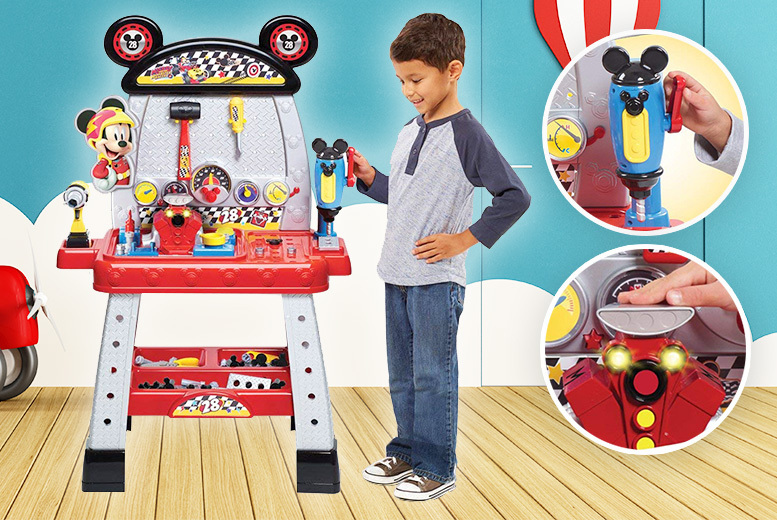 Get a Mickey Mouse Roadster Racers pit crew workbench. Includes over 40 play tools and accessories! Get your little ones making sure Mickey and the Roadsters are ready to race. Features interactive lights and sounds for hours of fun! With a play engine, realistic electronic impact wrench, drill press and tool holders. Size: H 555 mm x W 620 mm x D 190 mm.